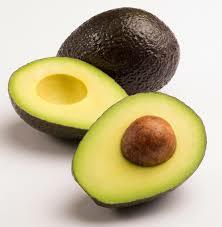 Avocados are one of the few fruits (yes it is a fruit) that come loaded with fat and calories. And yes, they can make you fat if you eat too many of them. The trick is to eat them in moderation as they are chock full of nutrients and contain the “good” kind of fat that your body needs. You may be surprised to find out, that a whole avocado has 227 calories and 21 grams of fat. That’s why the recommended serving size is roughly one-fifth of a fruit, or 30 grams. At this amount, you’ll consume a more-reasonable 50 calories and 4.6 fat grams. The good news is that avocados are sources of fibre, potassium and niacin as well as vitamins E and B-6. Now you don’t have to panic about the “fat” in avocado as it is largely monounsaturated, a healthy type of fat. While saturated fats from animal products raise “bad” LDL cholesterol and are linked to Type 2 diabetes, monounsaturated and polyunsaturated fats help prevent these conditions. Plus, your body needs fat for energy, mental focus and to absorb the fat-soluble vitamins A, D, E and K. Other sources of unsaturated fats include nuts, seeds and vegetable oils. Half an avocado contains 3.4 grams of fibre including soluble and insoluble, both of which your body needs to keep the digestive system running smoothly. Plus, soluble fibre slows the breakdown of carbohydrates in your body, helping you feel full for longer. Avocados can also help you cut calories when you use them as a replacement for less-healthy fats such as mayonaise, cheese, sour cream and butter. Spreading avocado on your sandwich instead of mayonnaise, for example, spares you more than 5 grams of fat and about 45 calories. Rather than thinking of avocado as just a fruit, treat it as a fat source. And about 20 to 35 percent of your diet should come from fats. Research shows that people who eat avocado daily tend to be generally healthier, with a much higher nutrient intake and lower Body Mass Index than those who don’t. So don’t just limit your avocado consumption to once or twice a week,or you’ll be missing out on the many health benefits it provides. If you are unsure about any of this information, please don’t hesitate to contact me. If you would like to schedule a FREE 30-minute consultation with me, just give me a call on 9365 7033 . I will share my 30 years experience in the fitness industry with you to help ensure that you see the results you want to see. Dirk Hansen has been a Health & Wellness professional Presenter and Writer for over 30 years, featuring both in Australia and the USA. You can learn more about us and what we do by calling 9365 7033 or visiting or website at http://www.dirkshealth.com.au/.